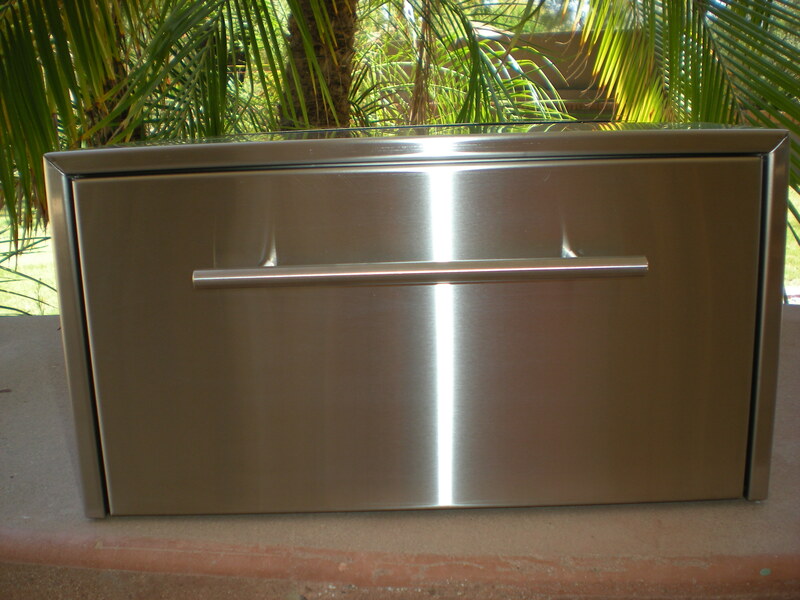 This is the all-stainless contemporary design used in our Bowman unit. 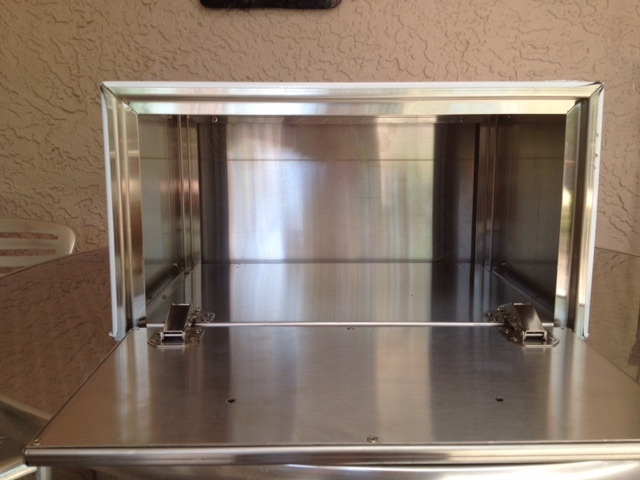 It is constructed of 18 gauge 304 stainless steel. 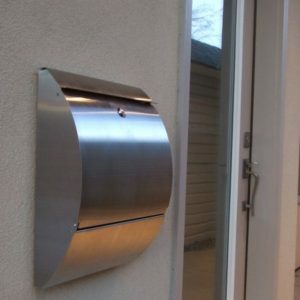 Its dimensions are 17″ W x 9″ H x 12″ D. The Scottsdale mailbox can be built into a wall or column and we can powder coat it to a custom color (there is an up charge). 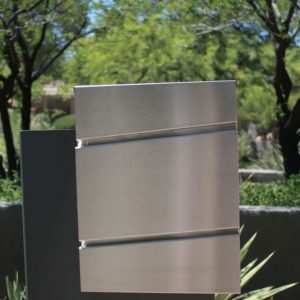 It is fabricated here in the Phoenix area and was featured on HGTV when we first released it.